Life is pretty rough as a Kansas Jayhawk fan, especially around this time of year. Yes, the Jayhawks are awful at football, but there was a flicker of hope on Saturday. When KU went up by nine late in the third, the reality of getting a rare Big 12 victory truly settled in. I was preparing for Kansas Wesleyan’s football game at Friends and walked over to the opposite side of the press box. I huddled around a phone to watch the potential game-winner. But, my heart was broken when Matthew Wyman missed a long field goal for the victory. Well, he whiffed on two others, but who’s truly keeping count. Kicking and special teams is such an undervalued part off the game. 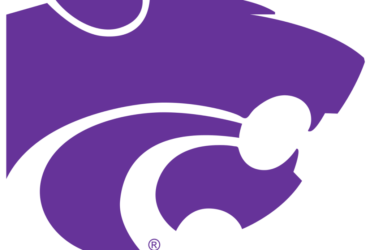 Kansas State had a 99-yard return for a score by Byron Pringle in that victory over Texas Tech. Last week, KWU blocked two field goals and witnessed a few missed extra points in the win over McPherson. Heck, even yesterday, Michael Pursley couldn’t convert on his first PAT try. Pursley made up for it later. When it mattered most, the Osawatomie product drilled a 39-yard field goal to give KWU a 45-42 come-from-behind victory. That kick was the first field goal attempt in nearly two years for the Coyotes. Time now for my rankings. Every week, I send a ballot to Tim McGonagle of Kansas Prep Football, ranking high school football teams. Enjoy. Quick hits: Quite a bit of movement this week outside the top four. Bishop Miege’s dominating victory over Mill Valley was certainly an eye-opener. The Stags are in groove, making them one of the most dangerous teams in Kansas. Manhattan shoots up into the top 10 with an exciting victory over Junction City. Garden City has quietly continued to have a great season with a take down of Wichita Northwest. Quick hits: Manhattan coach Joe Schartz has had quite a turnaround. After missing the postseason two years in a row, the Indians aren’t looking to make it three. Garden City has been overshadowed by many great teams in Class 6A, but that changed last week as Garden City took down Wichita Northwest. Playoffs should be exciting. Quick hits: Wichita Heights received a scare, but was able to edge Kapaun. Mill Valley plummets out of the top five after its third-straight loss. Valley Center remains perfect at 6-0, but the Hornets receive their first big test in 5-1 Goddard this weekend. Quick hits: No changes here, but Bishop Miege and Andale with monster victories. Miege smacking Mill Valley was a surprise. The Andale Indians proved why they are near the top of the class. But, that could change as they face off against No. 4 Buhler this Friday. Quick hits: Just two things to note, really. Columbus barely surviving over Galena was interesting. Pratt’s victory over 5-0 Halstead was certainly a head-turner. Quick hits: Nothing really crazy here, but that’s not a shocker. Southeast of Saline deserves a mention being 6-0, but this class is loaded from top to bottom. Quick hits: Washington County almost went out of the top five, but the Tigers were able to hang on for the victory. Smith Center slammed Ellis and the Redmen are slowly climbing back up. Quick hits: Burlingame showed how great the Bearcats can be. Clifton-Clyde was ranked No. 5 last week and that didn’t last long. Osborne’s 84 points seemed like it took place in a basketball game. Osborne has a tough test in Victoria this week. Quick hits: Otis-Bison misses the cut but a nose. These five teams are solid, with Hanover looking dominant once again.